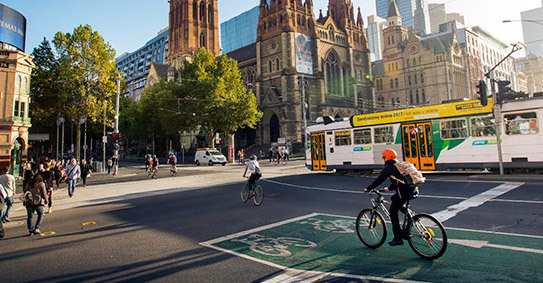 If you are new to the cycling lifestyle, you can rent a bike on almost every corner, but if you have been in the game for some time, you want to hop on your metal steed and pedal your way through the art piece that is Melbourne, exploring its boulevards and alleyways, pubs, galleries, parks, and shops. Here are the four Melbourne trails you don’t want to miss. 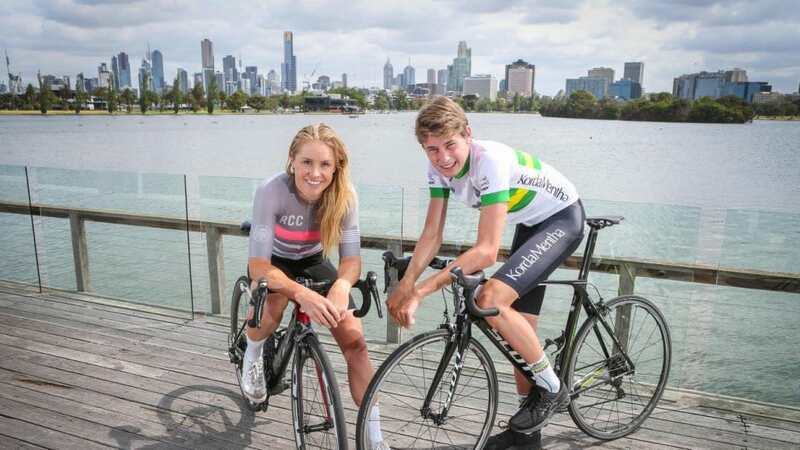 Starting at the heart of the city, the Capital City Trail covers the most prominent entertainment, cultural, sporting and outdoor sights that Melbourne has to offer. The trails itself is 29-kilometres long, running smoothly from the cultural hub at Southbank through the promenade against the Yarra river where you will pass the Victorian Arts Centre, Royal Botanic Gardens, the MCG, Melbourne Park, and the beautiful Como House. Once you’ve passed Inner Circle Railway and made a stop at the famous Melbourne Zoo at Royal Park, you will start your journey back through the Monee Ponds Creek and the entertainment centre of the Docklands precinct. You will also get the chance to visit the Polly Woodside Maritime Museum and Melbourne Exhibition Centre on your way back. The eighteen-kilometre-long trail stretching along Port Phillip Bay is truly an adventure not to be missed, as you will be passing some iconic historic spots and attractions such as the WW2 corvette Castlemaine (open for visitors), the Timeball Tower at the Point Gellibrand Coastal Heritage Parkand Gem Pier at the Williamstown Newport Foreshore. Be sure to make this a weekend excursion, as punts carry cyclists across the Yarra River, under the West Gate Bridge and into the beautiful Westgate Park, continuing into Brighton, Port Melbourne, Albert Park and St Kilda. The trail will take you through some of Melbourne’s cosmopolitan areas, and even though the city has a positive bike culture, you still want to obtain the necessary safety equipment at an online bicycle store to make your ride as smooth as possible and to keep your bike safe when you hop down for a pint in Saint Kilda. Following the Southbank trail and passing through Docklands, you will end up at Maribyrnong River, passing by Flemington Racecourse. Pipemakers Park waits for you at the opposite side of the river, where you can explore the historic urban scenery, and the Living Museum of the West. Continue the road to the iconic lookout at Lily St where a breathtaking view of the river and the city skyline awaits your awe and amazement. The beautiful river reserves will take you under the bridges of the Melbourne-Sydney rail line and into Brimbank Park. Be sure to bring your picnic basket, as it’s the best way to put the cherry on top of a perfect day. Finally, the 33-kilometre, five-hour-long Main Yarra Trail will take you from the eastern suburbs, through a scenic riverside trail, passing by the Central Business District, once again ending at Southbank. Passing through numerous parks and reserves on your way back to the heart of the city, you can also stop for a short picnic and even visit the Heide Museum of Modern Art, before sliding into the Central Business District and the well-known hustle and bustle of a vibrant city. Once in CBD, you can continue to the shopping malls or go hunting for pubs, and quaint cafes. Melbourne has something to offer to every cycling enthusiast, no matter if you are a nature lover, an urban butterfly, or a part of both. Be sure to take these amazing trails on during this spring and summer season for an adventure of a lifetime in the Gem of Victoria. Cycling is an active sports, every weekend I always find time to roam around Melbourne. I like the feeling of all my senses are activated. Beautiful workout as well. At first, my impression is it's a boring but glad to met many cyclist who has the same passion on biking. Highly recommendable for those who loves outdoor activity. Melbourne has many great places to visit.